This essay by architectural historian Thomas S. Hines about the opening of the Walt Disney Concert Hall first appeared in 1991 in the book Peter Eisenman & Frank Gehry (Rizzoli). It has been edited and reformatted for publication here on The Iris on the occasion of the Getty Research Institute exhibition Berlin/Los Angeles: Space for Music. —Ed. It was during those visits, the composer later admitted, that he began to think of “living somewhere in the hideous but lively Los Angeles conurbation…for reasons of health primarily but also because Los Angeles seemed the best place in America for me to begin my new life.”(2) Stravinsky’s rationale for settling in Los Angeles was not unlike the earlier rationale of Walt Disney himself, who had migrated in 1923 from the chilly Middle West. It would also characterize the emigration from Canada in 1947 of Frank Gehry, who, forty-three years later, would design the Disney Concert Hall for the Los Angeles Philharmonic. Ultimately, to secure the Disney gift, the County agreed to donate Lot K and to underwrite the construction of the parking facilities beneath the hall. The next imperative was to find a strong, imaginative, and diplomatic individual to chair a special Disney Hall committee that would coordinate all aspects of the ensuing project and that would serve as a “client” group. It was clear to all involved that that person was Frederick Nicholas, the brilliant and resourceful Los Angeles businessman who had played a similar, and stunningly successful, role in the recent development of MOCA, the Los Angeles Museum of Contemporary Art. Without Nicholas’s persistence and organizational genius, most observers would later insist, Gehry’s Disney Hall might never have happened. Nicholas’s board was comprised of representatives from Los Angeles County, the Music Center, the Disney family, and the Philharmonic, the last of which included Executive Director Ernest Fleischmann and Concert Master Sidney Weiss. Philharmonic Music Director Andre Previn seemed, then and later, strangely removed and uninterested in the process. His successor, Esa-Pekka Salonen, and principal guest conductor, Simon Rattle, would, on the other hand, become valued and highly engaged consultants. One of Nicholas’s first and wisest moves was to propose an architectural competition and the consequent appointment of an architectural jury to make a recommendation to the Disney Hall client committee on the architect of the hall. For this Nicholas appointed, as chair, MOCA Director Richard Koshalek, and as fellow jury members: Earl Powell, Director of the Los Angeles County Museum of Art; John Walsh, Director of the Getty Museum of Art; Robert Harris, Dean of the School of Architecture, University of Southern California; and Richard Weinstein, Dean of the Graduate School of Architecture and Urban Planning, UCLA. It was Weinstein, Nicholas observed, who insisted on the concept of “ripeness” as the major criterion for selecting an architect, one who was at the peak of his power, but who still had his greatest work before him. The jury opened its meetings to the members of the parent committee, who agreed to observe a rule of silence during the formal deliberations, after which they could ask questions and participate in the discussion. This allowed each group to educate the other and to resolve differences informally along the way rather than be faced with a confrontation at the end caused by the Jury’s recommendation of an architect who was unacceptable to the committee. Invitations for proposals were sent to some twenty-five practitioners of whom four were chosen for the crucial short list: Gehry, Hans Hollein, Gottfried Bohm, and James Stirling. Others who were closely considered were Henry Cobb and Renzo Piano, the latter the personal choice of committee consultant Pierre Boulez. Important architects, unofficially “disqualified,” included Arata lsozakl, the designer of MOCA; Richard Meier, designer of the new Getty Center; and Robert Venturi, the recently commissioned architect of the Philadelphia Symphony Hall. Each of the finalists was given a long and detailed program of the specifications plus a more general statement of criteria that spoke to larger goals. The Jury was urged at this stage to evaluate the short-listed designers, particularly in regard to their responsiveness to the general aims. After a call to the effect that Disney Hall should aspire to be the “greatest concert hall in the world,” the list included four major goals. First, there should be the closest possible connection between the audience and the orchestra. This might lead to seating that surrounded the orchestra on all sides or whatever it took to produce a “bond of excitement” between the musicians and the listeners. Second, the hall was to suggest inclusivity rather than exclusivity, with a welcoming quality that would not alienate those who, on first encounter, had little acquaintance with the culture of classical music. The hall should encourage an increasingly diverse audience. 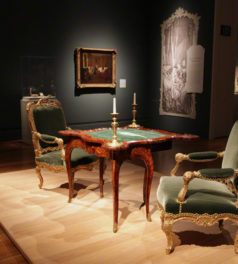 While not exuding informality as such, it was not to be a place to be entered only in tuxedos, jewels, and long dresses. 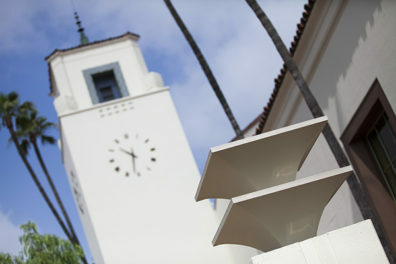 Third, the design of the hall should promote and participate in the urban identity of Los Angeles, with a sense of the street, particularly Grand Avenue, as a related complex of cultural institutions from the Music Center at the north to MOCA in the middle to the Los Angeles Public Library at the south. The context, in short, was not to be ignored. Fourth and related to the first three criteria, the building should somehow reflect the culture, the character, the climate, and the genius of Los Angeles. Though this last criterion would remain the most subjective, the most dependent on the perceptions of each designer, it conveyed the hope that the hall would be unique and would be a building that could logically be located only in L.A. Following the euphoria of winning the commission, Gehry, with his clients, began the slow, awesome task of revising and honing the design to fit the changing technical, political, and economic realities. In an early version of the scheme, for example, four huge structural columns near the corners of the hall had helped to shape and define the space. When the engineers decreed that these were no longer structurally essential, Gehry retained them as vestigial markers using them as props for lighting and as staging area for off-platform performances and equipment. Later they were eliminated altogether. Less easy to resolve was the Sargasso Sea of acoustical opinions and the choice of the halls to be studied and emulated. The latter occasioned several richly rewarding research trips by Gehry and Ernest Fleischmann to the world’s famous concert halls. By consensus, the best of these were such older halls as the Boston Symphony, the Amsterdam Concertgebouw, and the Vienna Musikvereln. Newer buildings deemed worthy of study included the Leipzig Gewandhaus, the Berlin Philharmonic, and Tokyo’s Suntory Hall. Gehry and Fleischmann were particularly drawn to the Berlin Hall, which architect Hans Scharoun designed in the early 1960s with acoustician Lothar Cremer for the demanding client Herbert von Karajan and his Berlin Philharmonic. 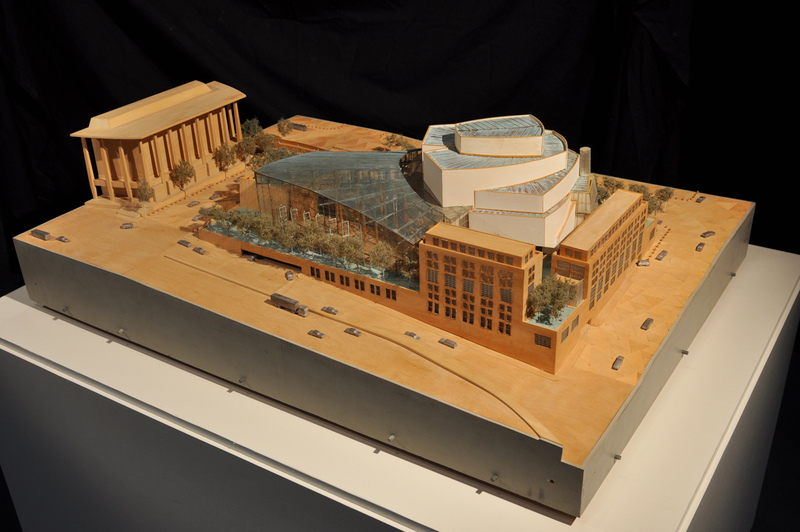 Gehry had already leaned toward it as a model for his Disney design. The Berlin Hall seemed to “feel good” to everyone who used it, conductors, performers, and listeners alike. The unorthodox seating patterns seemed to work with the sound distributed relatively “democratically.” The room contained no “bad seats.” Yet while admiring Scharoun’s and Cremer’s collaborative miracle, the critical consensus was that generally such forms were risky and that, in fact, for all it gained in ambience, it still lost points in the highly subjective area of acoustical “purity.” Minoru Nagata’s acoustics at Suntory, by contrast, seemed to some almost too pure, too mechanical. “You feel, when you’re there,” observed consultant Simon Rattle, “that you are listening to a recording rather than to a live orchestra.” The elusive essence of acoustical excellence, most experts agreed, could be gained most dependably from conventionally rectangular “shoe box” spaces, as at McKim, Mead, and White’s turn­-of-the-century hall in Boston. The ideal capacity for a large hall was judged to be 2,200 seats. The economic fallout of the worsening recession led to the decision to cancel the hotel as well as to omit the chamber music hall. The removal of the latter led in turn to the obviation of the central covered garden lobby that had connected the larger and smaller halls. How would Gehry respond to the new imperatives? With the hotel and chamber hall and garden lobby gone, and with the acoustical consensus now calling for a “shoe box” à la Boston, Gehry redesigned his initial offering, with strong support from his colleagues David Denton, Michael Maltzan, and Craig Webb. He also continued to seek, as before, the views and opinions of expert witnesses. The orientation of the hall also changed. Whereas it was initially rotated south­east/north-west with the adjacent garden lobby entrance facing First and Grand, it was re-oriented north-east/south-west, with the entrance to the hall itself straddling the strategic corner. 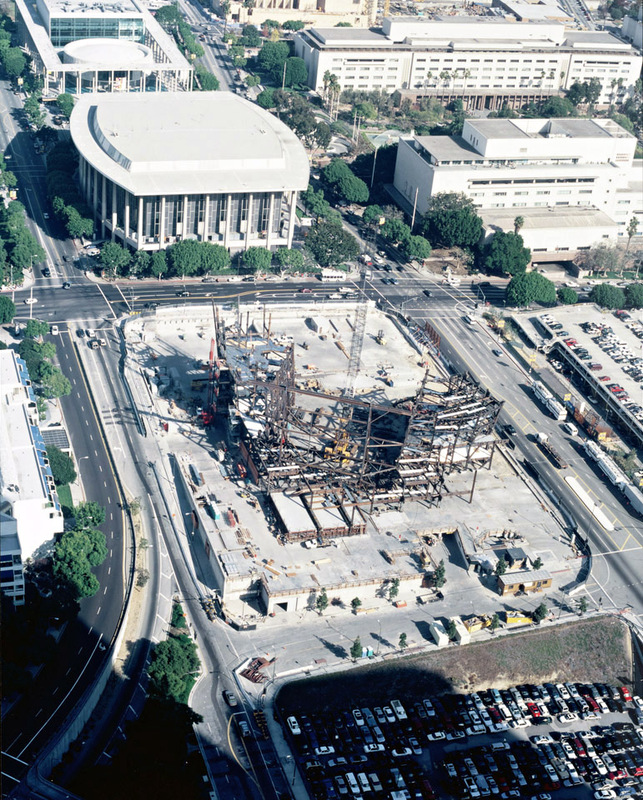 As such, it became more than ever inflected toward the Chandler Pavilion and the Los Angeles Civic Center. Rather than a tightly coiled snake, the form of the hall now derives from the acoustically determined shoe box, or, as Gehry puts it, “a large saddle” sloping in the middle to accommodate the necessary rake of the seating and the sixteen-meter ceiling height deemed acoustically ideal. To achieve some of the rotational effects of the original scheme’s largely circular forms, Gehry has appended “saddlebags,” or spaces housing stairs, elevators, toilets, offices, practice rooms, and other “servant” areas, ancillary to the hall itself. While the idea of the garden has literally expanded to envelop the whole site, the flower metaphor of the building itself has given way to nautical symbolism both inside and out. The wooden, scooped-out interior of orchestra and audience seating has the concave sweep of the inside of a boat, floating within the outwardly canted plaster walls of the hall. Outside, the steel panels defining the building’s exterior form take on the buoyant quality of sails in full wind. Gehry and other observers felt it looked and felt “more musical” and would create a more dramatic and memorable effect than the original submission design. When one observer asked if it was meant to resemble Jørn Utzon’s Sidney Opera House, Gehry replied at the time that, while he believes it will be better, he hopes it will someday come to represent Los Angeles as vividly as the Utzon building represents Australia. As the cultural institutions of Los Angeles burgeoned in the 1980s with the building of MOCA and the expansion of the Getty and the County Museum of Art, observers both in and beyond California saw it as an urban and regional “springtime,” a time of cultural blossoming and hope. If the realities of the 1990s suggest more autumnal metaphors, the city retains the cyclical expectations of the ever-recurring possibilities of spring. 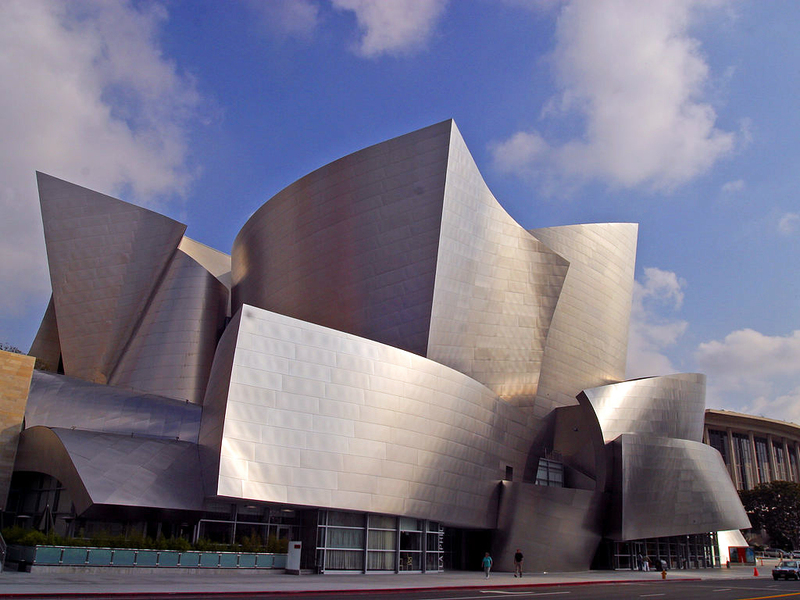 Gehry’s Disney Hall is a part of that cycle and of the sun-splashed optimism that has characterized the city’s history. It permeated the genius of Disney’s animated films and dappled the darker landscapes of Stravinsky’s compositions. 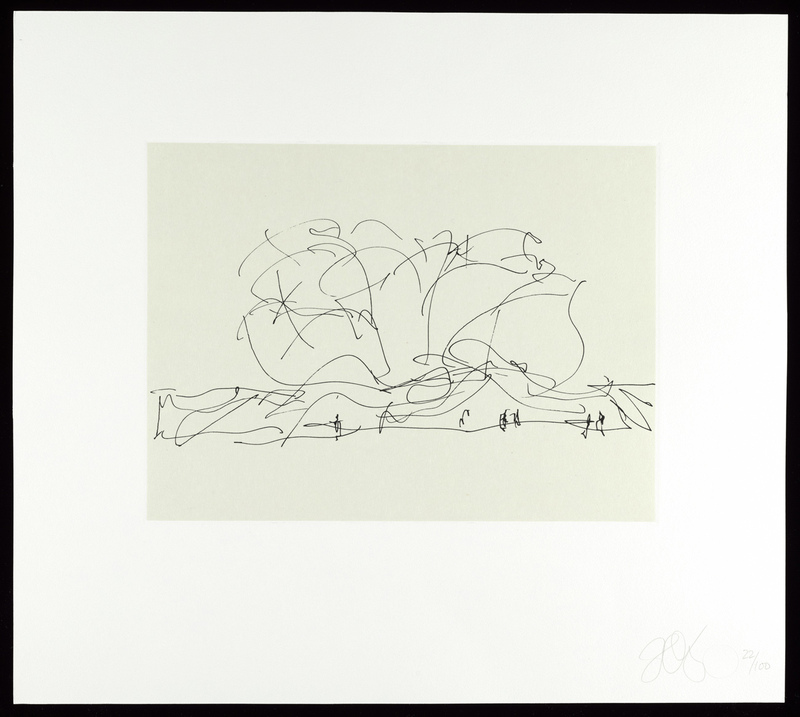 It has also pervaded Gehry’s oeuvre in its theatrical interplay of the comic and the tragic. And magic that believes itself must die. 1. Igor Stravinsky, Themes and Conclusions (Berkeley and Los Angeles, University of California Press, 1966, 1982), p. 49. 2. Igor Stravinsky, quoted in Otto Friedrich, City of Nets, A Portrait of Hollywood in the 1940s (New York: Harper and Row, 1986), pp. 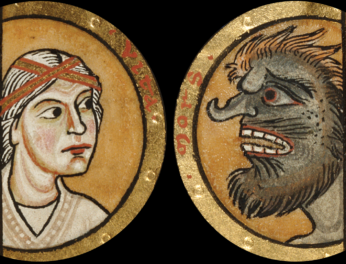 34–39. 3. The major sources of information for this essay are: the author’s taped interviews in Los Angeles with Frank Gehry, July 4, July 14, July 15, 1991; with Richard Weinstein, July 6, 1991; with Frederick Nicholas, July 10, 1991; as well as more informal conversations in 1990 and 1991with each of them, with Ernest Fleischmann and with members of Gehry’s office staff. Of equally great help were the 1990–91 Getty Center videotapes of Gehry in conversation with Esa-Pekka Salonen, Simon Rattle, Ernest Fleischmann, Franklin Murphy, and Minoru Nagata. 4. Richard Koshalek, quoted in Nancy Reed, “SM Architect Gehry to Design New Concert Hall,” Santa Monica Outlook, December 13, 1988, p.1. 5. “Jury Citation,” The Pritzker Prize for Architecture, 1989. 6. Peter Viereck, “A Walk on Snow,” from Terror and Decorum: Poems 1940–1948 (New York: Scribner, 1949), p. 53, stanza 3, lines 7–8, 1–2. Text of this post © Thomas S. Hines, used with permission. All rights reserved. I’m an architectural historian and professor emeritus at the University of California, Los Angeles.